The purpose of this trip was to scout new locations for future Sabrewing Nature Tours trips. Eric and Rob Ripma came from Sabrewing Nature Tours and, as we always do in Honduras, we worked with Alex Alvarado, the best bird guide in Honduras. We were also joined by Gustavo Poublanc, who will be driving for many of Alex’s tours. We flew in to San Pedro Sula and spent the night, before leaving the next morning for Copan. On the way to Copan, we stopped at Macaw Mountain, a large rehab and educational facility for rescued birds from captive collections. 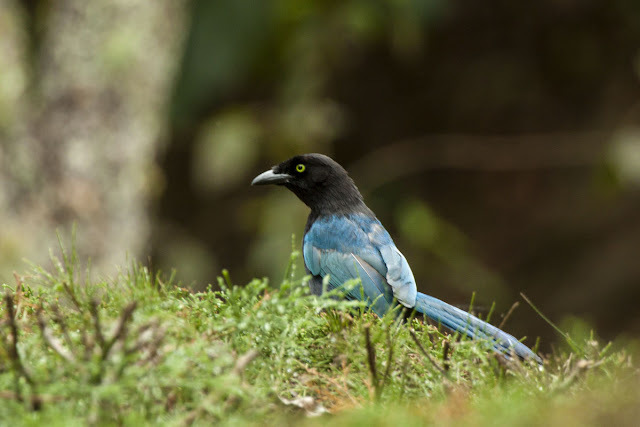 Birding on the grounds produced a handful of the common species for the area such as Blue-crowned Motmot, Cinnamon Hummingbird, and Red-legged Honeycreeper. We stayed at Hotel Don Udo’s in Copan which was a great alternative to the more popular (for birders) Clarion. This morning we birded Camino a la Laguna, a road that heads south out of Copan. This road traverses a few different habitats so the bird list has potential to be quite extensive. In the lower elevations we encountered Buffy-crowned Wood Partridge, Crested Bobwhite, Scarlet Macaw, and all three saltator species found in Honduras. 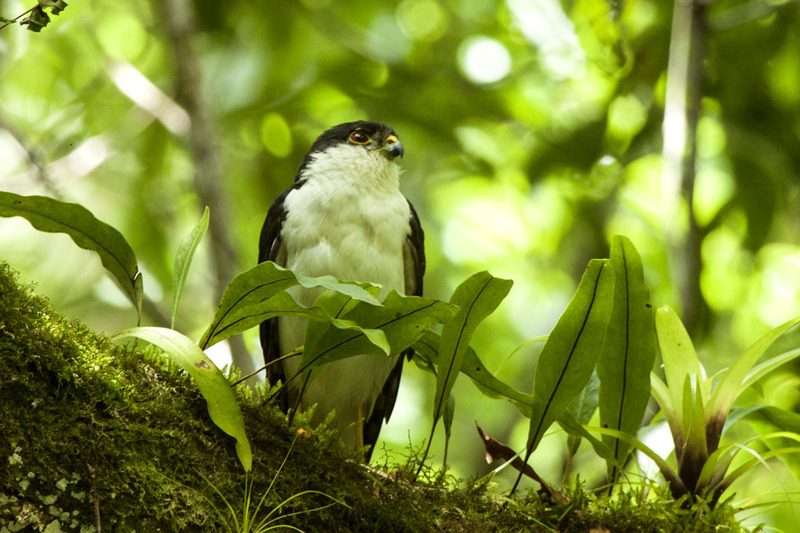 After working our way a bit further up the road, we birded alongside a coffee plantation and second growth forest. Bushy-crested Jays and Brown-backed Solitaires were common in this area. A single Golden-crowned Warbler, a species Alex had never seen at this location, was present alongside Slate-throated Redstarts and Rufous-capped Warblers. Orioles were relatively abundant with Black-vented, Yellow-backed, Streak-backed, and Spot-breasted being present. We made a brief stop at Hacienda San Lucas where we picked up White-throated Magpie Jay and Elegant Trogon. In the afternoon we birded around Copan Ruins, which didn’t add many species other than a Yellow-green Vireo. This day we drove from Copan to Hotel Gloriales, just outside of La Tigra National Park. We made a stop for lunch along the shores of Lake Yajoa where we picked up many species such as Muscovy Duck, Bare-throated Tiger Heron, White-tailed and Snail Kites, Gray-breasted Crake, Limpkin, Northern Jacana, and Gray-breasted Martin. We arrived at Hotel Gloriales in the late afternoon and had a couple of hours to bird around the grounds. Bushy-crested Jays were abundant throughout the area and a family of Ruddy Crakes was vocal but less than obliging while trying to get views. Green (Red-throated) Parakeets were calling from the opposite mountainside, but their camouflaged plumage rendered them invisible to our eyes. 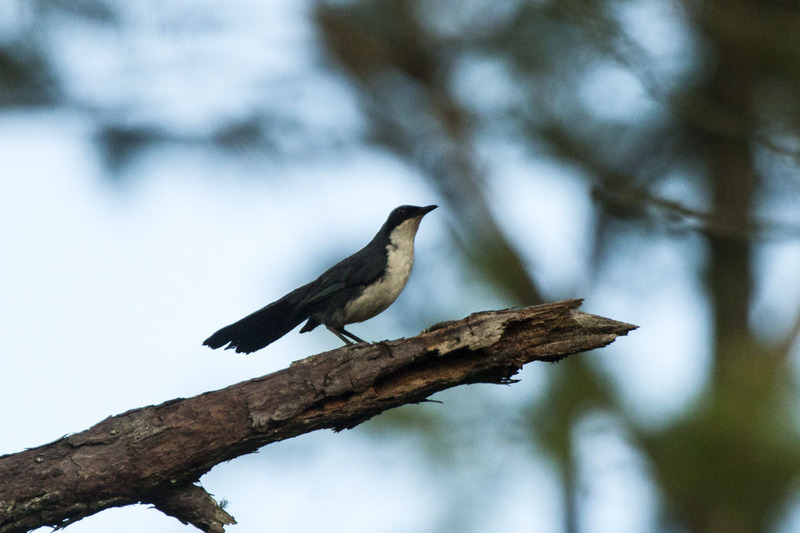 The most sought-after species at Hotel Gloriales is the Blue-and-white Mockingbird-a Mesoamerican endemic. This species was very confiding throughout our stay at the hotel; and we had another pair just down the road. We ended the day by trying for Whiskered Screech-Owl which is usually behind the hotel, but was not cooperative that night. We started out the morning at the gate for La Tigra National Park, and quickly picked up another Mesoamerican endemic; the beautiful Green-breasted Mountain Gem. 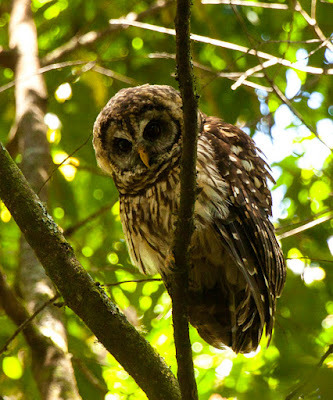 This species is only found in Honduras and Nicaragua so is one of the most sought-after species on a Honduras birding tour. A few Cinnamon-bellied Flowerpiercers and a Rufous-browed Wren (both Mesoamerican endemics) kept us busy, while waiting for more hummingbirds at the many flowers around the gate. Once we pulled ourselves away from the show, we headed up to the visitor center/trailhead. Here we had great looks at Blue-crowned Chlorophonia, Chestnut-capped Brush-Finch, and Ruddy-capped Nightingale-Thrush. From visitor center we hiked the trails which netted us relatively few birds (somewhat due to the weather). However, the species we did see were all very special birds. We ended up seeing and hearing many more Green-breasted Mountain Gems along with a couple Garnet-throated Hummingbirds; an Amethyst-throated Hummingbird zipped by as well. We lucked into two Scaled Antpittas-one of which was feeding on the trail! After lots of hard work we eventually got great views of Tawny-throated Leaftosser and Singing Quail. La Tigra is the most reliable spot in Honduras for Resplendent Quetzal so we were surprised to completely miss this stunning species. After leaving La Tigra, we birded a side road while heading back to our hotel. We had a great flock of birds along the road that included Mountain Trogon, Hairy, Golden-olive, and Pale-billed Woodpeckers, Rufous-browed Peppershrike, Blue-and-white Mockingbird, Flame-colored Tanager, and a couple species of orioles. However, the real prize, was a group of five Buffy-crowned Wood-Partridge feeding in a small corn field! This species, while fairly common, is extremely difficult to see. In the late afternoon we headed back to Hotel Gloriales where the grounds produced the usual species. Check back soon for part two of my Honduras trip report. Also, if this report makes you want to visit Honduras, click here to find out about our next trip to this beautiful country.